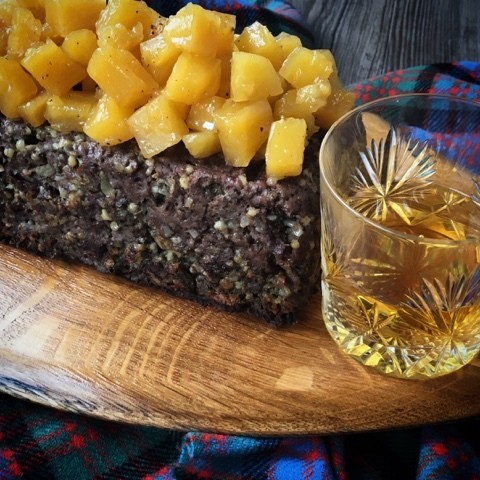 Fancy something a wee bit different than the traditional Haggis, Neeps and Tatties for your Burns Supper celebrations? 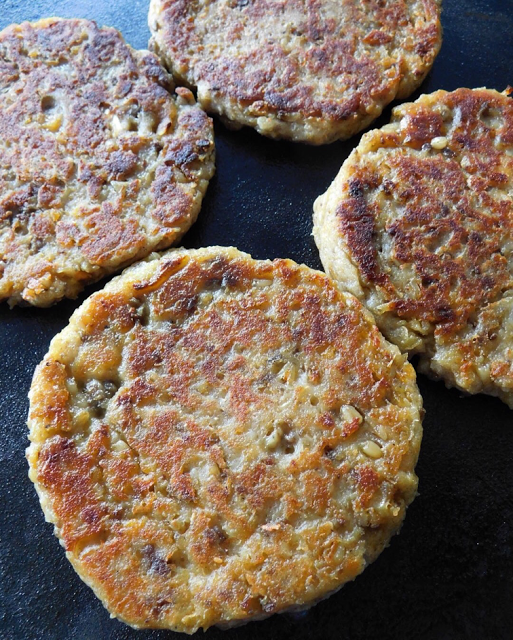 I've got you covered with this selection of 10 recipes including Pancakes, Meatloaf, Burgers, Waffles, Birls, Shepherd's Pie, Soup, Scotch Eggs, Toasties and even Chocolate Haggis! The humble Scotch Egg becomes even more Scottish with the addition of Haggis and a Panko coating makes it affa posh. 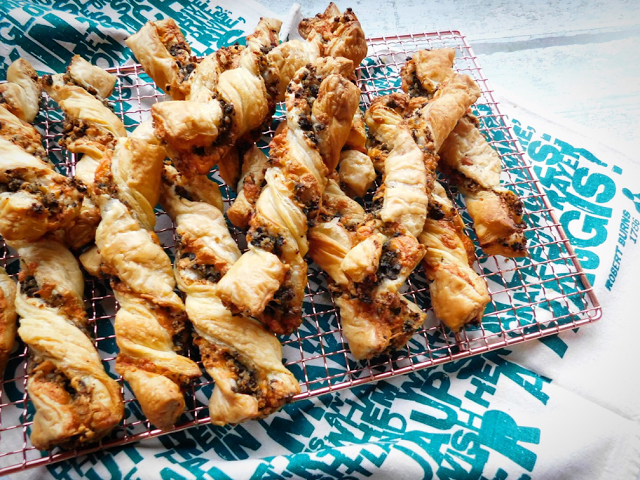 Haggis and Cheese go burlin in Puff Pastry for an oh so moreish savoury Scottish snack which is so quick and easy to make with only three ingredients. The ideal comfort food for Autumn/Winter. A real taste of Còsagach. 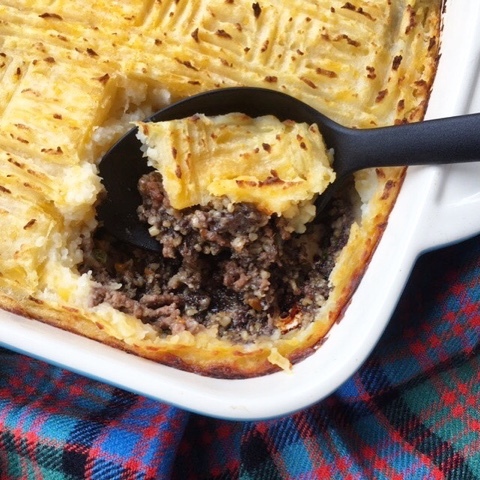 Topped with 'tartan' mash this Scotch Lamb & Haggis Shepherd's Pie will fair warm the cockles. Breakfast for Burns made with the contents of a (traditional or vegetarian) Haggis, Neeps and Tatties Ready Meal! 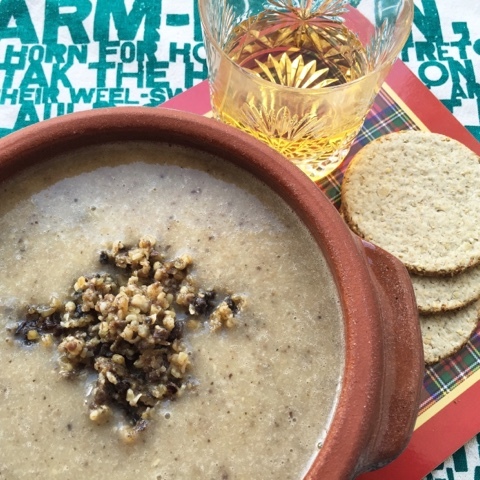 Even if you don't make the Meatloaf, you've got to give my Whisky Neeps a try to accompany your Haggis and Tatties. Only three ingredients yet full of flavour. 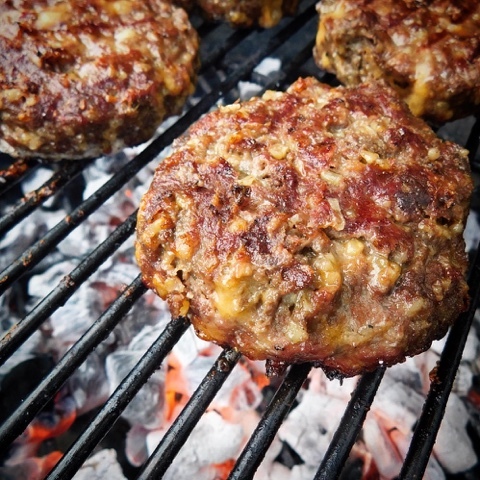 Scotch Beef, Mature Cheddar Cheese and Haggis combine to create a succulent burger that is undoubtedly greater than the sum of it's parts. 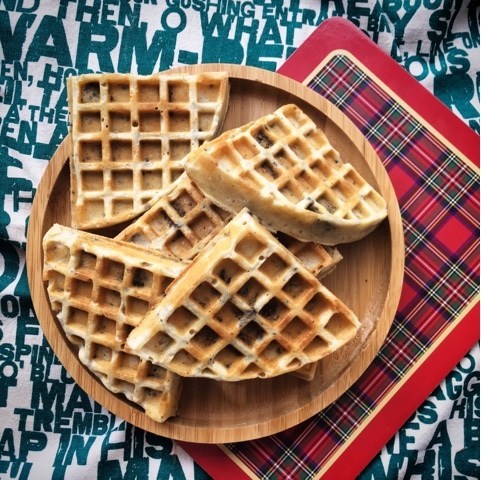 Enjoy a Braw Burns Breakfast with these Haggis Waffles. If you fancy adding a Whisky Cream Sauce or a Dram on the side I'm sure The Bard would approve. An Auld Alliance Toastie! 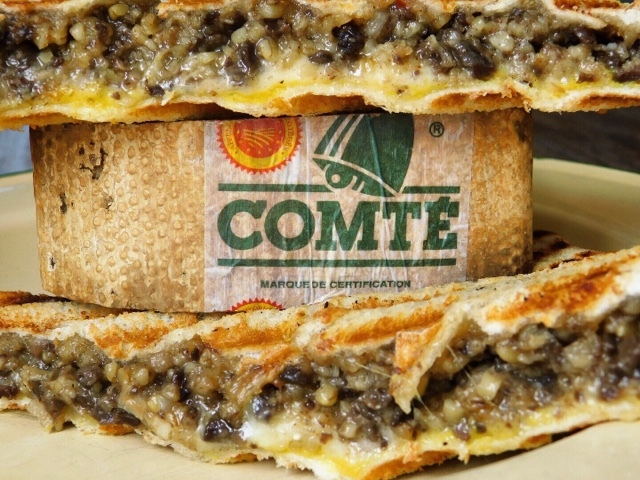 The flavours of Scotland and France combine in a sublime toasted sandwich made with Cheese and Haggis. Pure dead brilliant! Soup made from with the holy trinity of Scottish ingredients. Serve with a Nessie ladle and a glass of Scotch Whisky. Last, but by no means least, one for those who - shock horror - don't like Haggis! A no bake cake version with Chocolate, Shortbread and Whisky. 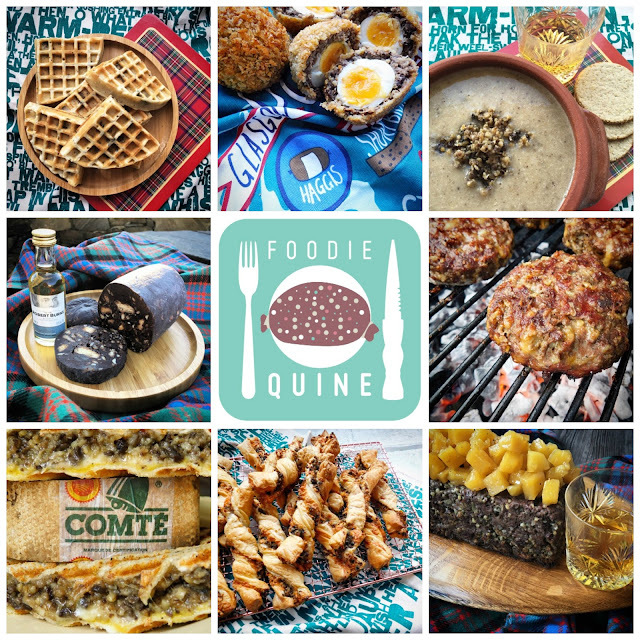 For further Scottish recipe inspiration be sure to check out my post of 25+ Quirky Scottish Recipes. 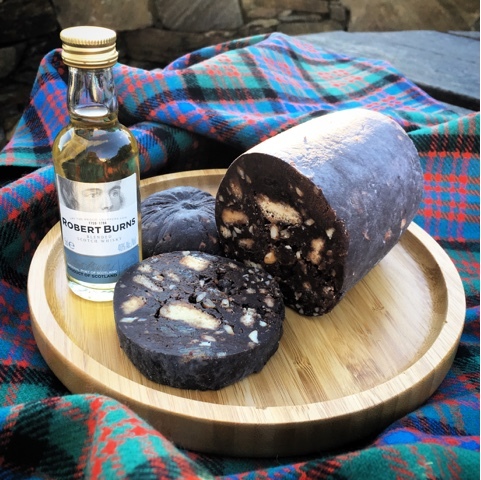 Ideal for St Andrew's Day, Burns Night, Hogmanay or any other Scottish occasion that requires food with a distinctly Scottish twist. Scotch Beef, Irn Bru, Tunnock's Teacakes, Haggis, Scottish Salmon, Tattie Scones, Whisky, Shortbread, Arbroath Smokies, Scottish Gin and more. I have never had haggis before, but there are lots of great options here for me to try it for the first time. 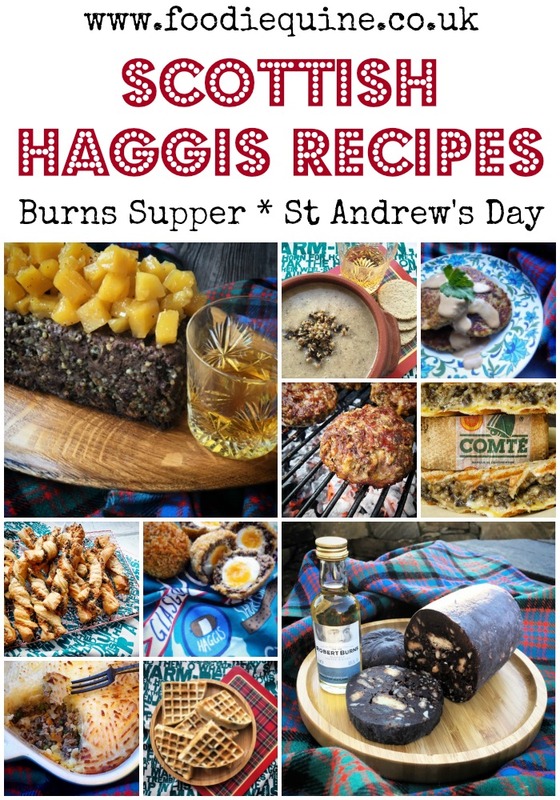 I keep meaning to cook something for Burn's Night, now I have lots of inspiration - thanks! Haggis is so delicious... I was scared to try it, but absolutely loved it when I plucked up the courage. Loving all these ideas... great round-up! Loving the range of ideas here, such a great selection to take it beyond the usual haggis, neeps and tatties (not that there's anything wrong with that but I like these other ideas a lot).